In order to understand all the clauses of Article 20 Indian Constitution we will first read the excerpt of these articles as listed in the Constitution of India. Article 20(1) of Indian Constitution No ex-post-facto law - No person shall be (i) convicted of any offense except for violation of a law in force at the time of the commission of an act, nor (ii) subjected to a penalty greater than that prescribed by the law in force at the time of commission of the act. 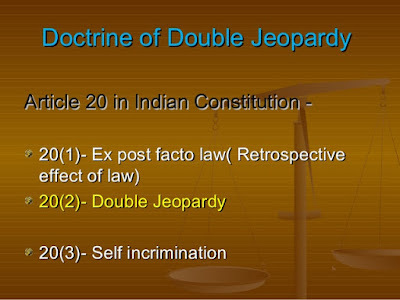 Article 20(2) of Indian Constitution No Double Jeopardy - No person shall be prosecuted and punished for the same offense more than once. Article 20(3) of Indian Constitution No self-incrimination - No person accused of any offense shall be compelled to be a witness against himself. Article 20 of Indian Constitution is a part of the basic rights that is the fundamental rights of the citizens of India. This article is included in the Part III of the Constitution of India. Part III of Indian Constitution talks about all the fundamental rights that are entitled to an Indian citizen. Fundamental rights are the backbone any prospering Nation as these are important in regards to healthy state of mind of the people of a country.Fundamental rights can be considered as a set of rules in a legal system which protect the basic rights or privileges of a human being. In any society or a small habitat or community of our country, these rights are available to all irrespective of their background or status in the society. It simply doesn't matter if it’s the prince or a mere pauper. Even those people who have committed crimes are entitled to certain basic rights. For example if a person is sentenced to death at a certain moment of time then before the decided time or date he has the right to live. It is still against the law to kill this man even though he is sentenced to death. This is what it means to live in a society, I’d rather say civilized society. India there are 6 basic fundamental rights namely, Right to Equality, Right to freedom of religion, Cultural and Educational Rights, Right to Freedom, Right to Constitutional Remedies and Right against Exploitation. These are the basic fundamental rights. Article 20 of Indian Constitution refers to the right of a person or company, convicted or charged of a crime. This article contains 3 clauses. I will explain all of them one by one. Before I start explaining I would like to introduce you to the term, Ex Post Facto. This is a Latin word which means after the fact. This allows for the punishment of crimes which have already been committed before the enactment of a new law which prohibits that deed. For example, let us consider a country where killing a pig is not a crime. So, a person, either for sport or for food, kills a pig, he has not committed a crime. Suppose after 2 years, a new law is formed under which killing a pig is now a crime. So, according to ex post facto law, any person who has killed a pig even in the past, is charged with such crime. Article 20 clearly states the prohibition of such practice. According to this Clause 1 of Article 20 of Indian Constitution, a person cannot be charged for a crime which he committed in the past, when that action was not considered illegal. This article only applies to conviction or sentences. Trials can still be carried out. This limitation extends only to criminal prosecutions and tax discrepancies are not covered here. That is, a person might have to pay old taxes too. Also, a person can still be detained in case of preventive measures or if someone has demanded security from him. To understand this clause, let’s first understand the term double jeopardy. Jeopardy means danger of loss or harm or failure. 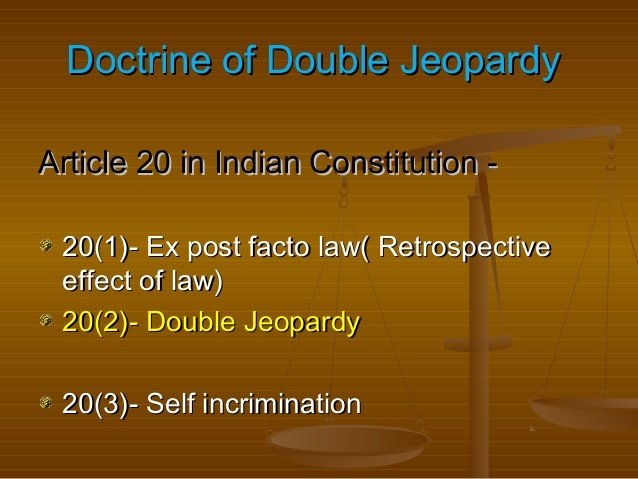 Double jeopardy means that a person is being put in harm’s way or in danger, twice. In this context, the clause states that no one will be punished or sentenced for the same crime again or more than once. If person has committed a crime and then has been sentenced or convicted, he cannot be done so again. This is called the Doctrine of Double Jeopardy. Autrefois acquit - a person has been freed or acquitted from this charge previously. The doctrine of double jeopardy extends only to Autrefois convict, not to autrefois acquit. A person who has been acquitted of a charge, can be retried for that offence as autrefois is a statutory right, not fundamental. 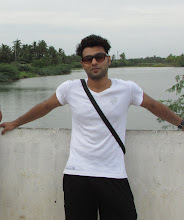 (a) He might be compelled to produce material objects which are related to the investigation. (b) He can be compelled to give thumb impression, signature, blood specimen. (c) He can be compelled to exhibit his body for examination. This clause covers or extends to, criminal proceedings. Civil proceeding are not covered. It also protects the accused against any kind of torture or forceful methods. It also results in an effective and scientific investigation, rather than taking shortcuts. It is assumed that the accused is innocent until he has been proven guilty beyond doubt. It is the responsibility of the prosecutor to prove his guilt. This is also similar to US legal system, where a jury legal system is still used. However, in India, the jury system was abolished.